This airport hotel is located around a 30 min drive from the centre of Bangkok, a 20 min drive to BTS and Ekamai bus stations. Bars, pubs and restaurants, as well as popular nightspots and shops are around a 10 min drive away. The beach Pattaya is 2 hours' drive away. This hotel is popular as a transit hotel for guests who are to continue travelling on to Bangkok and further afield in Thailand. 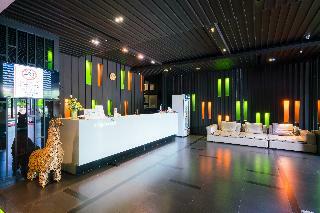 It is air-conditioned and welcomes into a lobby with 24-hour reception, a safe and currency exchange facilities. There are lift access, newspaper stand and hairdressing salon. Other facilities available include WiFi, room and laundry services and parking. It provides standard rooms to deluxe suites. All rooms are fully - equipped and have an en suite bathroom with shower and bathtub, balcony or terrace, as well as a double or king-size bed and individually regulated air conditioning. BRIGHTON HOTEL BANGKOK is located in the heart of business area nearly to BITEC BANGNA (Convention Center), Central Bangna and Mega Bangna, five minutes by walk to BITEC and 15 minutes by car to Mega Bangna offering easy access to all major entertainments and shopping centers via BTS Bangna (Sky train) With 146 elegant rooms and premier room facilities which is started from 38 sq.m. to 72 sq.m. The perfect choice to stay with a charming boutique hotel which is an idea for leisure travelers wishing to stop over in Bangkok before proceeding to other destinations, or catching a flight to other countries because the hotel located far from the main airport “Suvarnabhumi International Airport” only 20 minutes by car or 27 km. 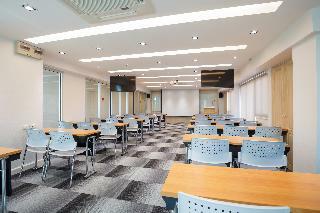 And the hotel is also designed for corporate and business man who wishing to stay close to BITEC (Bangkok International Trade & Exhibition Centre) where is a world class venue for meetings, incentives, conventions and exhibitions and also connects to Industry area, easy to connect with the city town by BTS (Sky-Train) to enjoy shopping, eating and dining in the heart of Bangkok. This stylish establishment offers its guests a creative lifestyle and a unique holiday experience just 30 kilometres from Suvarnabhumi International Airport. It is situated in the quiet district of Bang Na, one of the fifty districts of the lively Bangkok. Guests will appreciate the luxurious accommodation options available at this modern property, all spacious, elegant and designed to ensure the utmost comfort and convenience. Those most demanding visitors may prefer the outstanding suite, located on the top floor and featuring an open lounge and a lovely sitting area ideal to relax after a busy day of sightseeing or shopping. 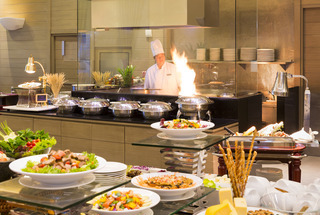 The onsite restaurant serves a choice of delicious international recipes inspired by Thai lifestyle, and business travellers will find meeting facilities originally design to bring nature to the space. 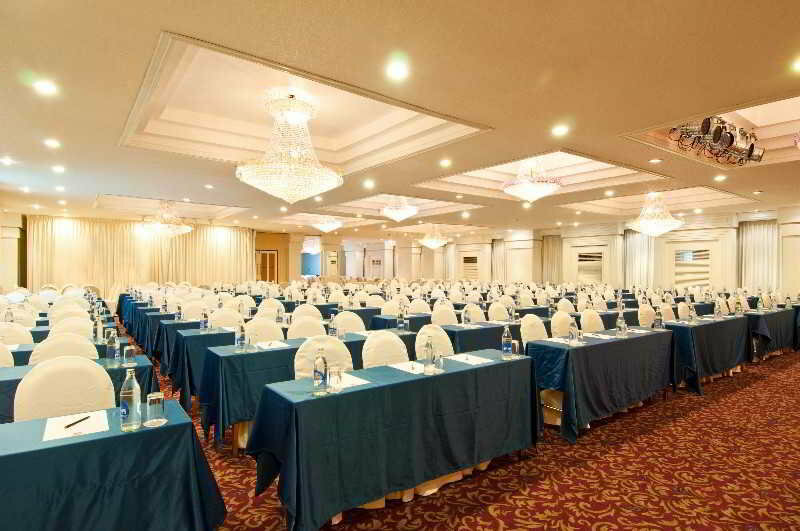 This hotel is located on Sukumvit Road 101/1, Bangkok and is ideal for business, trade fair, exhibition, seminar and leisure travellers. The aparthotel is close to the highly efficient Skytrain Mass Transit System and the motorway puts the city's numerous landmarks within easy reach. Suvarnabhumi International Airport is about 18 km from the hotel.The first feelings experienced upon entering the hotel are peace and intense well-being. All the suites and studios are ideally positioned around an atrium where the central fountain soothingly sprinkles water in a peaceful garden. The aparthotel was built in 2009 and consists of a total of 79 suites and studios. Guests are welcomed into a lobby with 24-hour reception and check-out service. Facilities include a hotel safe, lift access, a newspaper stand, restaurant, conference facilities, WLAN Internet access (fees may apply), room and laundry services, and a car park.The aparthotel has a selection of suites and studios available. Each has been stylishly designed while keeping practicality and safety issues in mind. Neat furniture combined with contemporary art and subtle indirect lighting produce a true feeling of well-being and serenity. Amenities include a plasma TV with satellite/cable, personal micro component system with radio and hifi, and WLAN Internet access. Each unit is equipped with a very handy kitchenette with fridge, an elegant en suite bathroom with shower, bath and hairdryer, and a balcony or terrace where one can read the morning newspaper while sipping a cup of coffee. Further facilities include a direct dial telephone, safe, minibar, microwave, tea and coffee making facilities, washing machine, ironing set and individually regulated air conditioning. 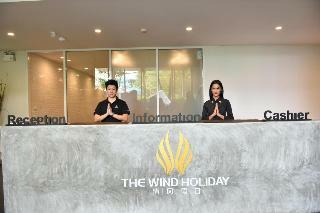 The Wind Holiday, located in Sukhumvit, Bangkok, is a popular choice for travelers. With its location just 17 km from the city center and 15km from the airport, this 4-star hotel attracts numerous travelers each year. With its convenient location, the hotel offers easy access to the city's must-see destinations.Offering hotel guests superior services and a broad range of amenities, The Wind Holiday is committed to ensuring that your stay is as comfortable as possible. For the comfort and convenience of guests, the hotel offers free Wi-Fi in all rooms, 24-hour security, daily housekeeping, fax machine, printer. In addition, all guestrooms feature a variety of comforts. Many rooms even provide towels, slippers, complimentary instant coffee, separate living room, in-room tablet to please the most discerning guest. The hotel offers many unique recreational opportunities such as fitness center, golf course (within 3 km), massage, garden. Enjoy unparalleled services and a truly prestigious address at the The Wind Holiday. Nestled down a small, quiet street (Soi Bearing) off the Sukhumvit road, one of Bangkok's busiest main thoroughfares, Theorie Hotel awaits to welcome one and all with its unique charm and character. Only a 15-minute drive to BITEC (an exhibition center) and 30-minute drive to Suvarnabhumi airport, the hotel's location is relatively convenient. 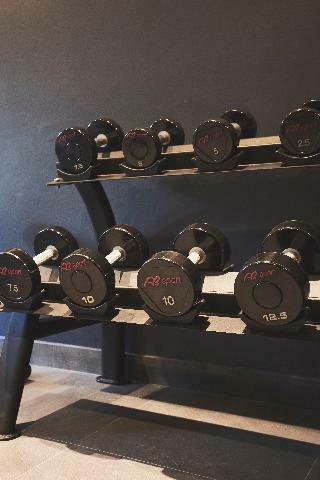 Although it is just a 5-minute drive to Bearing BTS skytrain station, the hotel is located in a serene environment, perfect for unplugging and recharging before tomorrow's business engagements. When visiting Bangkok, you'll feel right at home at Marigold Sukhumvit, which offers quality accommodation and great service. The excitement of the city center is only 17.2 km away. With its convenient location, the property offers easy access to the city's must-see destinations.Marigold Sukhumvit offers impeccable service and all the essential amenities to invigorate travelers. While lodging at this wonderful property, guests can enjoy free Wi-Fi in all rooms, 24-hour security, daily housekeeping, portable wi-fi rental, taxi service.Accommodations have been carefully appointed to the highest degree of comfort and convenience. In some of the rooms, guests can find television LCD/plasma screen, locker, mirror, private entrance, sofa. 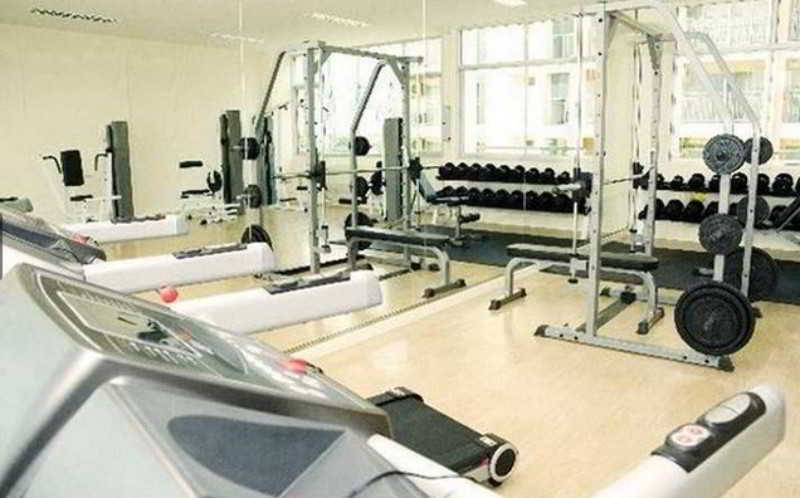 The complete list of recreational facilities is available at the property, including fitness center. 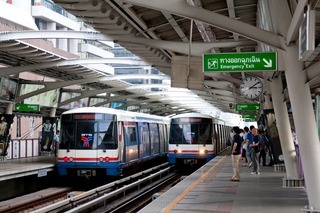 Superb facilities and an excellent location make the Marigold Sukhumvit the perfect base from which to enjoy your stay in Bangkok.Connect every transit, every places, every lifestyles, directly to the heart of Bangkok in just a few minutes through BTS Skytrain Samrong Station (E15). 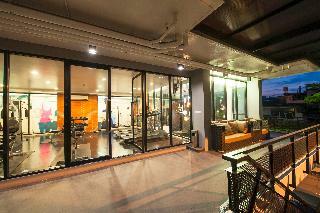 Hotel is near BITEC Bangna only 2 Stations and 30 minutes to Suvarnabhumi Airport. 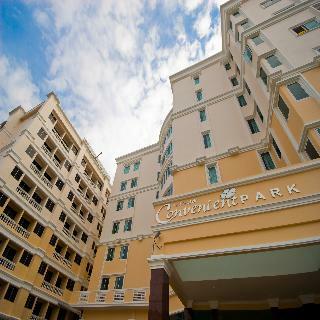 Hotel is also near Imperial World Samrong only short walk 5 minutes. Save time to travel, more time to explore the city. Enjoy our Marigold Sukhumvit, a Modern Boutique Hotel that fulfill your happiness with our cozy and boutique identity.